Here's One Thing Washington Agreed On This Week: Sentencing Reform : It's All Politics Criminal justice experts and advocates say they're cautiously optimistic about a new bipartisan proposal in the Senate — the Sentencing Reform and Corrections Act. A cell at El Reno Federal Correctional Institution in Oklahoma, which President Obama visited in July. The Sentencing Reform and Corrections Act would apply only to federal crimes and federal prisons, which house a shade over 200,000 inmates — a tiny fraction of the population detained in jails and state facilities. It's wonder enough in sharply-divided Washington that nine Democrats and Republicans in the U.S. Senate came together this week to do anything, let alone touch the once politically charged arena of crime and punishment. But groups as different as the ACLU and Koch Industries had joined this year in a coalition to press for change, and so too did senators as different as Iowa Republican Charles Grassley and Illinois Democrat Richard Durbin. Prison populations will not drop significantly until we start asking how we can punish violent offenders more intelligently and less severely. Lawmakers called their new bipartisan bill a "landmark" in the area of criminal justice and said it represents a major retrenchment from tough mandatory sentencing laws adopted in a wave of drug-fueled violence during the 1980s and 1990s. Marc Mauer, executive director of The Sentencing Project, put it this way: "The Sentencing Reform and Corrections Act is the most substantial criminal justice reform legislation introduced since the inception of the 'tough on crime' movement and is the best indication we have that those days are over." All drug dealers are committing 'serious' crimes whether they are armed, physically violent, or not. Criminal justice experts and prisoner advocates offered a sense of cautious optimism, with caveats. For one, the bill would apply only to federal crimes and federal prisons, which house a shade over 200,000 inmates, a tiny fraction of the population detained in jails and state facilities. Second, the plan seeks to limit solitary confinement for juvenile offenders and offers them a pathway to expunge their criminal records. But experts say the federal system incarcerates fewer than 50 juveniles, and an even smaller number is believed to be held in isolation. 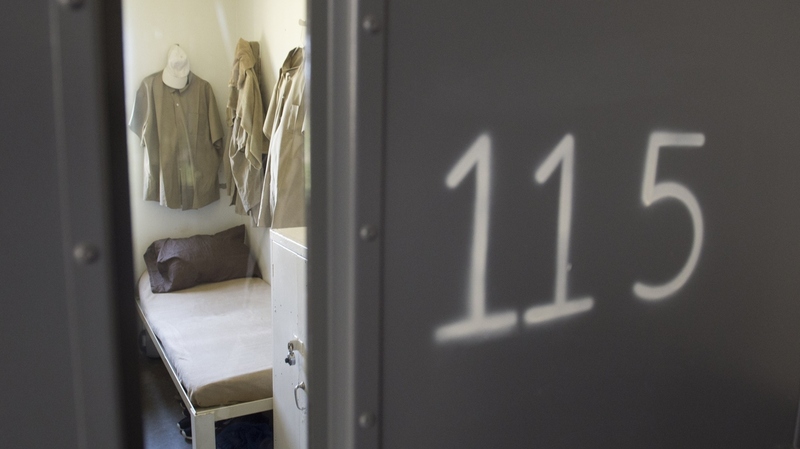 The number of current and future prisoners the legislation would touch is hard to define. But people who have been pushing for change told NPR one of the most important elements of the bill would make retroactive 2010 changes that reduce the disproportionate punishments between people sentenced to prison for crack cocaine offenses and people sentenced to shorter terms for crimes involving powder cocaine. A key author of the bill, Iowa's Grassley, said that fix alone would apply to 6,500 people behind bars now. Other provisions would reduce mandatory life without parole sentences for people who have committed three drug crimes to 25-year prison terms, and reduce mandatory minimum 20-year sentences for two drug crimes to 15-year mandatory terms. "The bill isn't the full repeal of mandatory minimum sentences we ultimately need," said Julie Stewart, president of Families Against Mandatory Minimums. "But it is a substantial improvement over the status quo and will fix some of the worst injustices." In fact, the legislation creates a small number of new mandatory minimum penalties for certain domestic violence and terrorism crimes. But experts said in practice, those penalties would apply to "almost no one," in the words of Fordham Law School Professor John Pfaff. Pfaff said he had a bigger problem with how lawmakers had drawn the lines about which inmates would be eligible for sentencing breaks. "Prison populations will not drop significantly until we start asking how we can punish violent offenders more intelligently and less severely," Pfaff said. "Super-long sentences for violent offenders do not give us any extra deterrent effect and they over-incarcerate in that even violent offenders generally age out of aggressive behavior." The president of the Federal Law Enforcement Officers Association raced to disagree. Jon Adler, whose group represents 28,000 active and retired federal law officers, said he doesn't consider drug dealers "non violent" criminals. "I remain concerned that the bill underestimates the impact of drugs and violence on victims by playing with the definition of what is considered a 'serious' offense," Adler said in a statement. "Because the poison that they deal kills people every day, all drug dealers are committing 'serious' crimes whether they are armed, physically violent, or not." The Federal Law Enforcement Association threw its support behind other parts of the bill, such as a proposal that would offer lower risk, nonviolent prisoners who graduate from classes and drug treatment programs credits towards early release. That measure is the result of a bipartisan push from Sen. John Cornyn, R-Texas and Sheldon Whitehouse, D-R.I.
An analyst at Human Rights Watch has concluded the bill as it stands now "may be the best policy reform available from the Senate." And then, there's the even more politically fractious U.S. House of Representatives, where Judiciary Committee Chairman Bob Goodlatte R-Va. intends to introduce justice overhaul legislation in a piecemeal fashion. President Obama, who's made criminal justice reform a big part of his legacy, said he wants a bill on his desk to sign by the end of the year. Not even the Senate bill's sponsors would venture a guess as to whether that's in the realm of the possible in today's Washington.